Generating collocations, frequency lists, examples in contexts, n‑grams or extracting terms is easy with Sketch Engine. Use our Quick Start Guide to learn it in minutes. Sketch Engine is also suitable for comparing corpora. Users can compare preloaded corpora as well as their own corpora that were compiled. 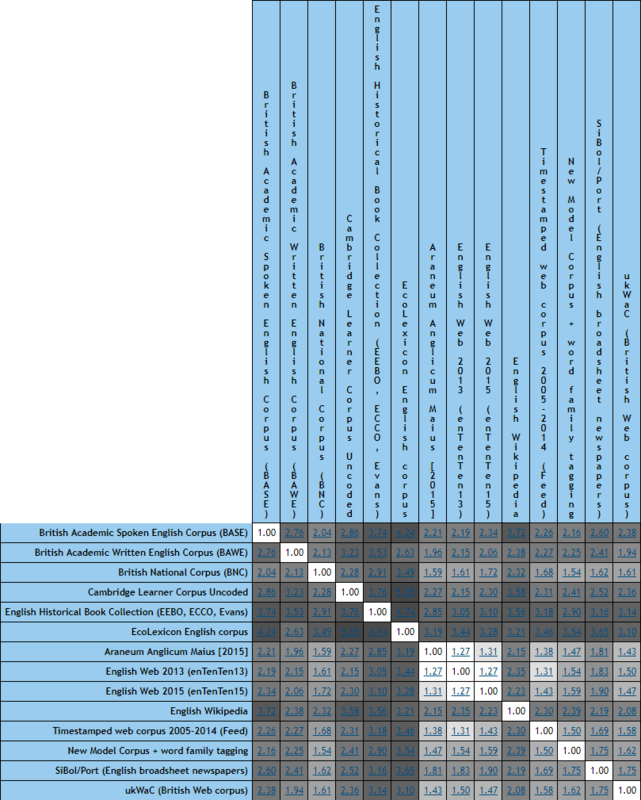 The result of comparing corpora is a comparison chart. 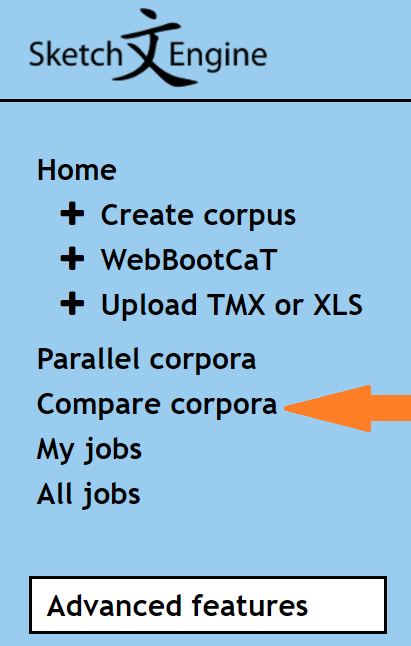 Compare corpora in four simple steps. 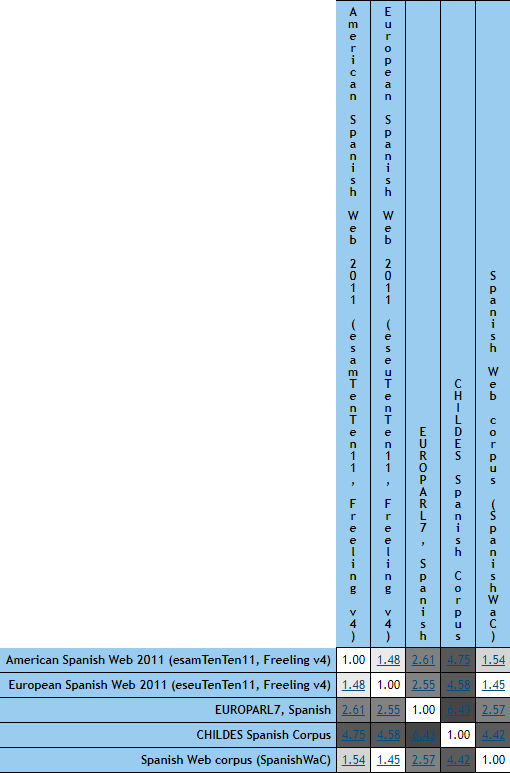 comparison chart for Spanish corpora. The second way of comparing corpora is via the Word list feature which enables to compare two corpora (or their subcorpora) and set significance of rare/common words. Kilgarriff, A. (2001). Comparing corpora. International journal of corpus linguistics, 6(1), 97-133.